able to walk on Shibuya crossing have always made Japan as one of my favorite countries in the world ever since I could remember. containing my excitement that I was already imagining the things I would like to see, and all the Japanese food I want to taste, the whole time during the four-hour trip. 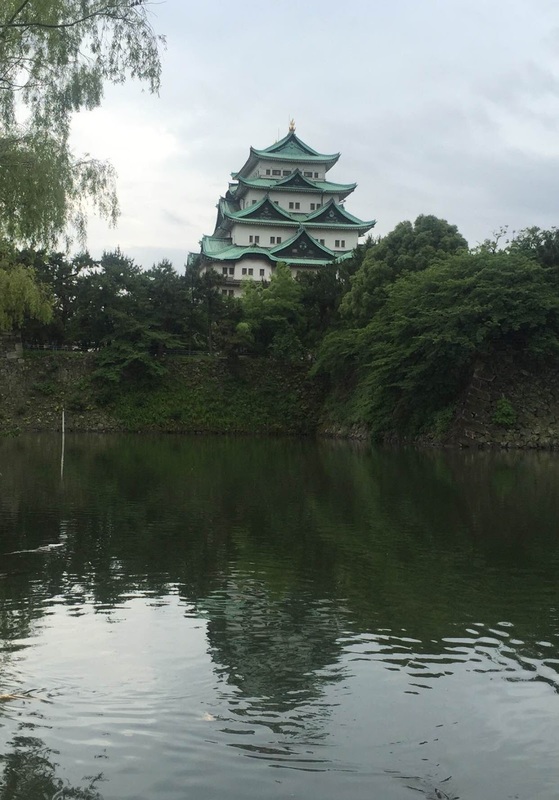 We landed at at Centrair International Airport in Nagoya, and our group went straight to an hour bus ride to Gifu Prefecture and took the Kinkazan Ropeway to Mount Kinka to see Gifu Castle. It was built by the Nikaido clan between 1201 and 1204 during the Kamakura period. It has seen a lot of battles between rival clans and undergone a lot of repairs along the years. exhibits representing the castle’s past, with weapons, pictures, maps and other artifacts are on display. There is also an observation deck where visitors can have a 360 view of the city and the Nagara River. old traditional method of catching Ayu fish or sweetfish by using seabirds called cormorants. Every night at 7:45 between May 11 and October 15, except on a full moon or on a rainy night this fishing method is performed by skillful fishermen dressed in traditional costumes while manipulating the trained cormorants to catch the Ayu. The following day, we travelled for two hours to visit the Takayama Yatai Kaikan Festival Exhibition Hall. Large ornate floats called Yatai that date back to the 17th century are on display. welcome spring and in prayer for a good harvest and on 9 th and 10th of October to welcome autumn and to give thanks for the good harvest. After Takayama Festival Exhibition Hall we again took an hour bus ride to Shirakawa and went up to Shiroyama Observatory. From the observatory, we can see the historical villages of Shirakawa-gō and Gokayama. These villages are one of Japan’s UNESCO World Heritage sites, located in the Shogawa river valley stretching across the border of Gifu and Toyama Prefectures. The houses in these villages are well known for its architectural design known as gassho-zukuri or the “prayer-hands style” characterized by the steeply slanted roof. It is designed to withstand and shed the weight of snow since the region experiences heavy snowfall during winter. Kenroku-en Garden. An old private garden, considered to be one of the three great gardens of Japan. It was developed by the Maeda clan from 1620s to 1840s. This garden is home to 183 species of plants and has about 8,700 trees. You will also find here the oldest fountain in Japan which runs on natural pressure and the Yūgao-tei teahouse, the oldest building in the garden that was built in 1774. From Kenroku-en Garden we stopped at Omi-cho Market for lunch then headed to an old Samurai village. This is one of the few old places to learn and know more about Samurais in Japan that survived World War II and the country’s modernization. Though the Samurais have been banned since two centuries ago but most of its history is well preserved here. Next in our itinerary was a two-hour bus ride to Fukui Prefecture and we were amazed at their Dinosaur Museum. On display were the actual fossils of dinosaurs that were found in the Fukui Prefecture, the Fukuiraptor, Fukuisaurus, Fukuititan, Fukuivenator and the Koshisaurus. Also on display are replicas of different kinds of dinosaur fossils from the United States and China. On our forth day in Japan, we went to Shiga to see Hikone Castle and we took a stroll down the quaint old new town of Yume-Kyobashi castle road. Rows of pretty, little white houses with black lattices were converted into shops selling souvenirs, Japanese sweets and other local products line up this beautiful road near the Kyobashi bridge. After lunch, we travelled to another part of Shiga to explore the scenic Omi-Hachiman water channel. Our group boarded a motorboat for over an hour maneuvering through the 4,750 meter long channel which is connected to Lake Biwa, the largest lake in Japan. Our guide shared that a lot of Samurai movies were shot in this location. Fifth and last day in Central Japan, we left our hotel early to be able to stop at two more of Japan’s national treasures. First stop, Nagoya Castle which was built during the Edo period but the original structure was destroyed in an air raid during World War II. Reconstruction was started in 1955 and was completed in 1958 were every details were put in place including the two golden dolphins at the top of the castle roof. Then our last stop was at the Atsuta Jingu Shrine, a Shinto shrine dedicated to Atsuta-no-Okami and the five great gods of Atsuta. Every New Year, people would visit the shrine to pray and throw coins to ask for good fortune. bright neon city lights, bullet trains and busy crossings. emotions when it’s your turn to visit soon. For more details of other beautiful destinations that you can visit in Japan, log on to www.jnto.go.jp.